The Welcome Mat is out all year round. 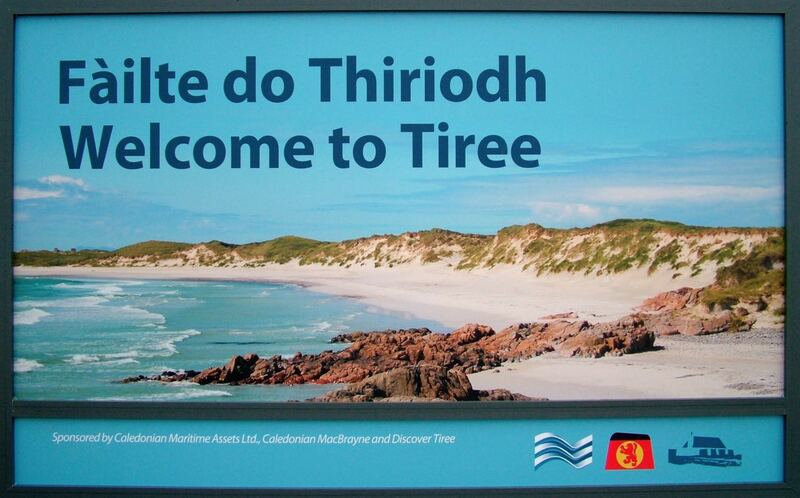 Tiree welcomes visitors to the island. The weather this past week has been a mixed bag. 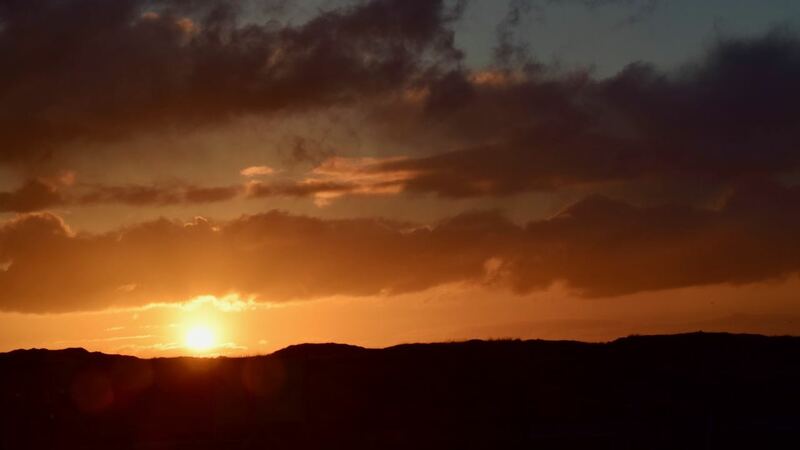 It has been a week of wintry sunshine and showers. With the wind rising the ferry was and still is on an alert. 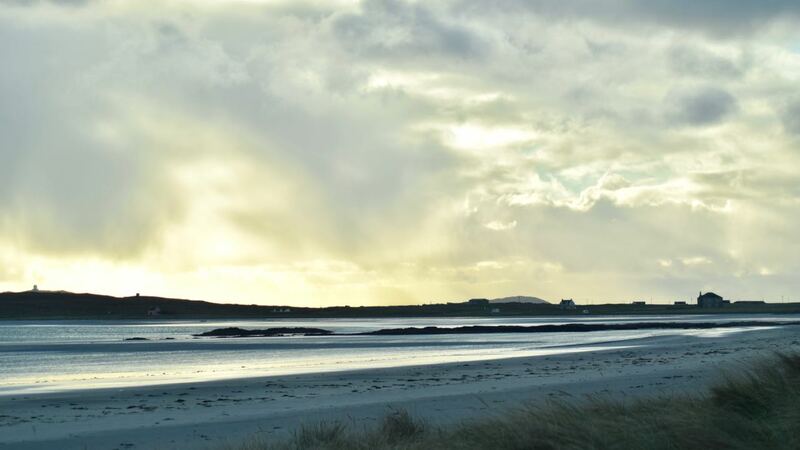 The MV Clansman alongside the pier at Tiree (Saturday 5th November). there is a heightened possibility of disruption to service. Thankfully, the ferry had no difficulty in berthing in the strong motherly wind. The day dawned with a colourful sunrise. It was not long however before the short sharp showers began. Nevertheless when the boat entered Gott Bay the sun shone, even if it was chilly. Vessels most frequently pass to the west of the island. Yet here was not one, but two vessels passing in front of our window. A quick check proved them to be the “Kibele” and the “Wilson Sund”. The after lunch its off out to make the most of the daylight. Oh! The wind was sharp! A real need to keep on the move. The weather at present is a right mixed bag. There are short sharp showers – some laden with hail. And with the wind rising again an amber alert for the ferry. The weather might be uncertain, even chilly, but the welcome is warm.